blah, blah, blah, I'm not responsible, blah, blah, blah world. oh no, not the dreaded disclaimer page! At Entrepreneur Girl® I strive to give you the most helpful and cutting edge content I possibly can, and yet, the results will still depend on the nature of the product or business model, the conditions of the marketplace, the experience of the individual, and situations and elements that are beyond Entrepreneur Girl® control. Therefore, any earnings or income statements or examples, are only estimates of what I think you could earn (no crystal ball here). There is no assurance that you will do as well. Any and all claims or representations, as to income earnings on this website, are not to be considered average earnings. There can be no assurance that any prior successes, or past results of EG, can be used as an indication of your future success or results. This website and the items it distributes contain business and personal financial strategies and advice. 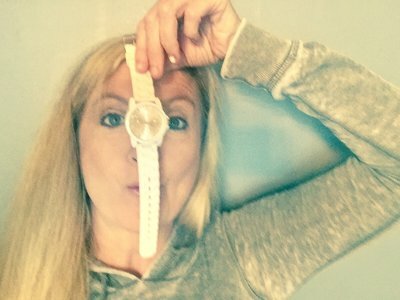 Entrepreneur Girl® makes absolutely no guarantee, expressed or implied, that by following the advice or content available from this website, that you will make any money or improve your current profit (although, we really hope you do). As with any business endeavor, you assume all risk related to investment and money, based on your own discretion and at your own potential expense (fancy talk for, "take ownership ya'll'). All of our courses come with a 30-day money back guarantee. After 30 days, no refunds will be given under any circumstances. If you enroll in a course from Entrepreneur Girl®, LLC, you are agreeing to this 30-day refund policy. I strive to give you helpful content that I genuinely believe will improve your life. Yet, while reading this website or the documents it offers, you must assume all risks associated with using the advice given, with a full understanding that you, solely, are responsible for anything that may occur as a result of putting this information into action. I am a big advocate of making money off of products and services you already use and/or love. So if you click on a link that I’ve provided, it might be a link that will give me a commission if you buy something from their site. This is one way an individual can use affiliate programs for monetization of a website, which results in a commission to this site when you make a purchase. I promise to be honest in my recommendations; as my credibility means everything to my brand and to my character as a person (I also will teach you how to do this for your own site, too). Text and image ads that appear above the footer on our site, are third party and sponsor ads. I do not personally endorse these products and services advertised in these ads. 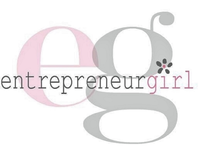 These companies are not affiliated with Entrepreneur Girl®. ...Or your ability to tell time.